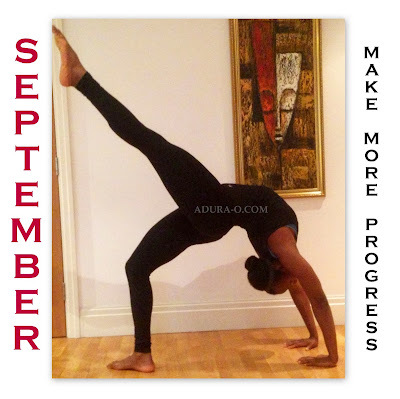 Make More Progress This Month! Happy Monday & Happy New Month!!! Where did August go? That was QUICK! My goal for this month: *TO MAKE MORE PROGRESS* and I think you should join me! Instead of trying to set brand new goals every month, why not continue from the previous month’s goals? Why set a brand new set of goals, when you have uncompleted, and important, ones? I’ve found I’ve had the best results when I write down my goals. Have you tried that yet? Does that work for you too? Have a great month of making more progress and exceeding your expectations! This entry was posted in Inspiration, monday, Motivation, september on September 2, 2013 by Adura Odesanya.